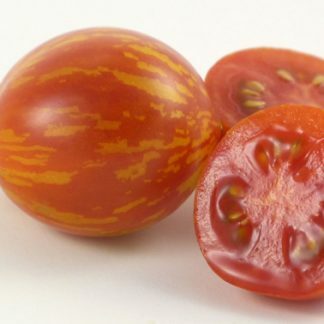 “Bonté Tigret” is a most striking looking variety, in both plant and fruit. It is a short dwarf plant with rugose chartreuse leaves. 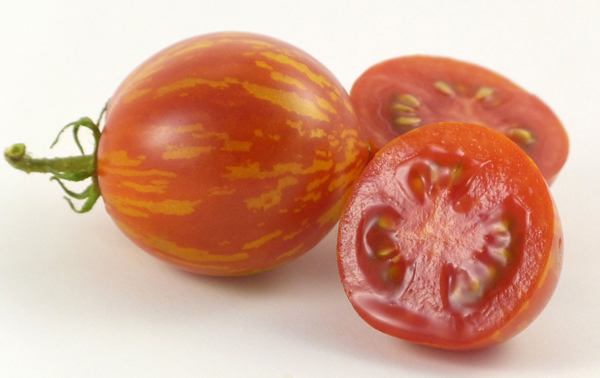 The fruits are fat striped bullets of red and gold. The flesh is a deep crimson red. Bonté Tigret was disseminated in the US by Luc Fishot of Belgium. 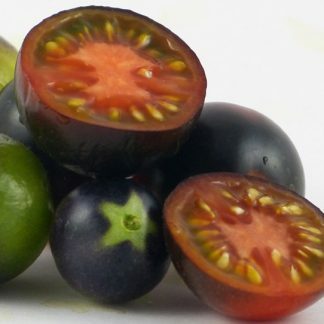 When you grow this variety, do not forget that the leaves are SUPPOSED to be a brilliant fish-bait yellow-green chartreuse, and choke the poor thing to death with fertilizer. With all of this beauty, it is probably inevitable that the flavor has received a bum rap for tastelessness. 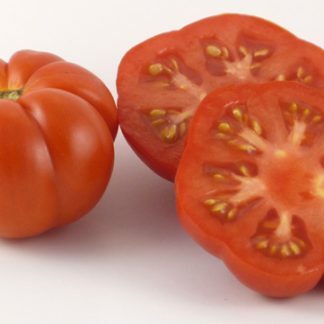 I found that at full ripeness, when the flesh is a very deep garnet, Bonté Tigret does have a decent tomato flavor and retains an excellent texture (not mushy, not crispy). A word of caution to those of you having to deal with fruitworms, climbing cutworms, and other wormie-type villains: this variety sets fruit from the bottom up, inside to outside. 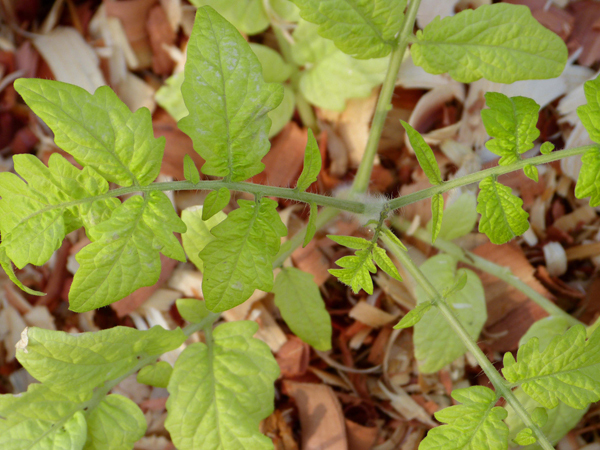 The foliage is so dense that it is difficult to see these first fruits, which may fall prey to insect damage.